ItemI-51607 - Fraser River at or near Yale during construction of Canadian Pacific Railway; attributed to Richard Maynard. ItemD-08621 - Tunnel B, No. 12; from Onderdonk albums. ItemD-08622 - Tunnel No. 14; from Onderdonk albums. 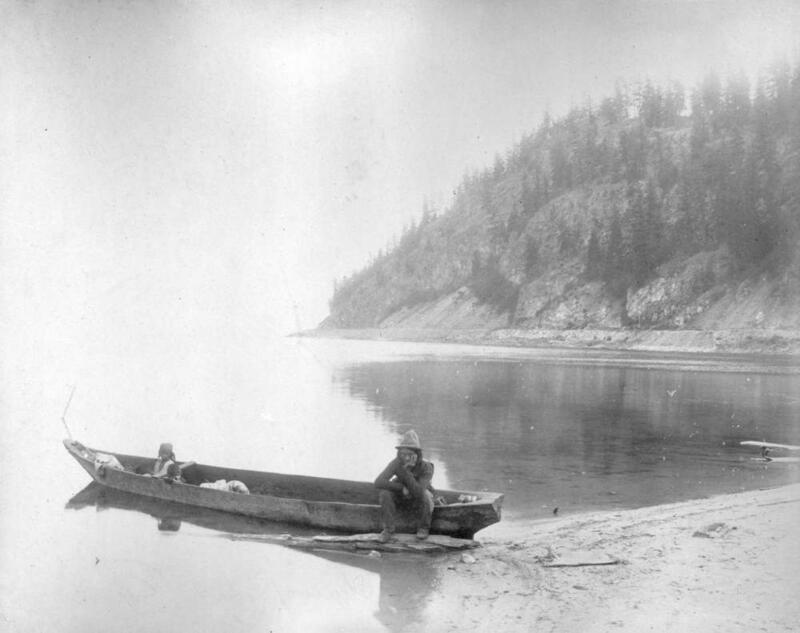 ItemA-08531 - Andrew Onderdonk, laying on the ground, with his son and daughter, young man seated at left, and girl seated at right respectively; other unidentified; at Yale, on the Fraser. ItemD-08812 - View of burnt forest from the summit of Eagle Pass; from Onderdonk albums.